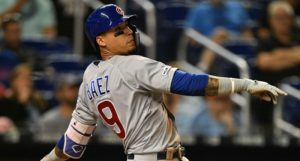 With today’s big trade officially in the books, you may have wondered whether that was going to be that for the Chicago Cubs this trade season. 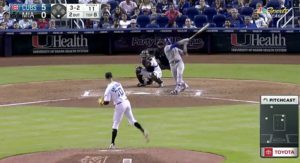 After all, the most glaring need on the roster was in the bullpen, and, hey, the Cubs just added a really good lefty reliever in Mike Montgomery. 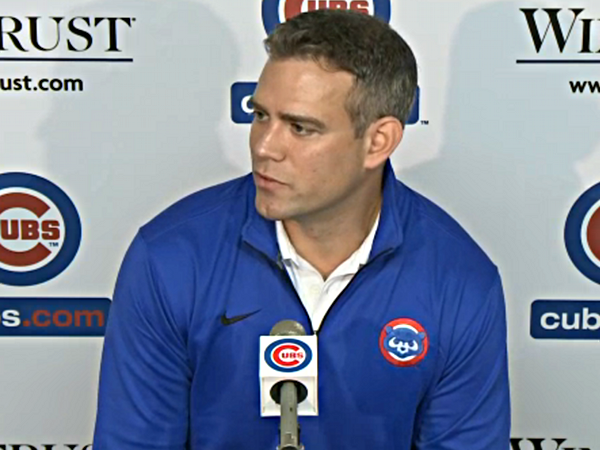 But, while that’s true, Theo Epstein points out that getting a reliever like Montgomery right now – almost two weeks before the Trade Deadline – actually puts the Cubs in a better spot to potentially make other moves. And there could be other deals to be had. In other words, the Cubs now have cover. I’ve said for a while now that the trickiest part of patching up the bullpen for the Cubs is going to be the looming Trade Deadline abutting up against the arrival of guys like Joe Nathan and Brian Matusz, and the returns of Trevor Cahill and Clayton Richard. 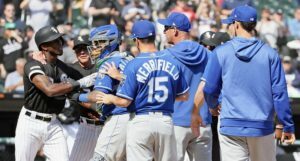 The last thing you want to have happen is that you spent time allowing for those guys to break out (which, in isolation, is reasonable), but then none actually pan out, and now you’re in mid-August and making a good move for the bullpen is not only more difficult because of waiver trade rules, but also because possible partners know you’re desperate. Now, the Cubs won’t have that problem. Sure, the bullpen might still fall apart between now and September, but at least now, for the next 12 days before the Trade Deadline, the Cubs can credibly hold fast in trade talks involving other relievers (or starters who can relieve, or a starter so good that it pushes another starter to the pen) without feeling like they better pull the trigger or be left with nothing at all. Furthermore, that final line by Epstein is going to leave people speculating for days. The implication is that the Cubs are willing to move some of their biggest prospects for significant returns. Even bigger prospects than Dan Vogelbach and Paul Blackburn. Even more significant returns than Mike Montgomery. It’s a bit of an exciting line, isn’t it? Even keeping in mind that those “bigger deals in the future” might be after this season, or next year, or beyond. It’s still exciting to think about how much more the Cubs could possibly do. Thanks to today’s trade, the Cubs don’t have to make another major move this trade season. But they’ve got the ammo to do it, and they’re gonna be out there looking.